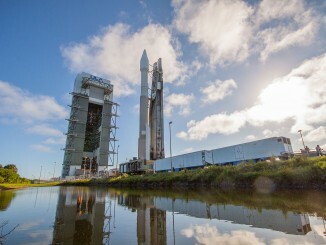 CAPE CANAVERAL — The heavy-lift version of the United Launch Alliance’s new Vulcan rocket will sell for half the price of today’s Delta 4-Heavy and a third of the price tag for the previous Titan 4, while offering a substantial increase in performance for the nation’s largest defense spacecraft. “Well below $200 million. Value is unlimited on-orbit operations,” George Sowers, ULA’s vice president of strategic architecture and advanced programs, told a reddit.com chat Wednesday. The Delta 4-Heavy has flown eight times, most recently with NASA’s Orion capsule last December. 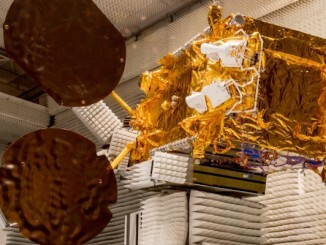 But the bread and butter for the launcher is classified National Reconnaissance Office payloads — massive eavesdropping platforms placed directly into geosynchronous orbit and optical spy satellites launched from the West Coast. 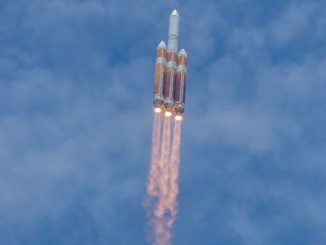 ULA boss Tory Bruno announced the company plans to retire the medium-class, single-core Delta 4-Medium and -Medium+ configurations in 2019. The Delta 4-Heavy will live on as long as the Air Force and NRO need it. “I have personally communicated to the Air Force and NRO that we will keep the Delta 4-Heavy available until they are able to gracefully transition to the Vulcan. I expect that to be out in the 2023-24 timeframe. But it’ll be up to them,” Bruno says. By that time, the new Vulcan rocket’s first stage will be four-to-five years old and certified by the Air Force to launch the country’s security spacecraft. “Yes, we’ve already started. You begin the certification process by writing a letter to the Air Force and telling them ‘I’m going to have a new rocket,'” Bruno said of certification. “The fundamental difference in our approach to certification is we intend to continue our policy of transparency with the government. We’ve invited them now, literally when we first began this path, to engage with us, to attend design reviews, to participate and have that visibility as we move through the development process. Certification will allow the initial Vulcan configurations to launch Air Force and NRO satellites in the medium-class market. The Vulcan’s new first stage will be outfitted with a Blue Origin BE-4 main engine and up to six solid-propellant boosters for added lift. The existing Centaur will be the upper stage. Step No. 2 in the development process of the new rocket will introduce the new Advanced Cryogenic Evolved Stage, or ACES, to the Vulcan first stage in 2023. It will increase performance to Delta 4-Heavy levels and beyond. A subsequent certification of the new upper stage will be required, too. The third development step will bring reusability in the form of mid-air recovery of the discarded main engines. The powerplants will be brought back to land, refurbished, certified for reflight and plugged into the next booster in the factory, Bruno said. ULA officials are confident they can compete in the marketplace with the reduced costs of Vulcan, which has an entry-level price of $100 million before reusability kicks in. And the ACES and Integrated Vehicle Fluid engine aboard the new upper stage will allow it to operate for weeks instead of mere hours for value added capabilities. It’ll all be accomplished using single-core Vulcans, unlike the triple-barreled Delta 4-Heavy. “Yes. LEO to Pluto with a single stick,” Sowers said. See our earlier Vulcan coverage.